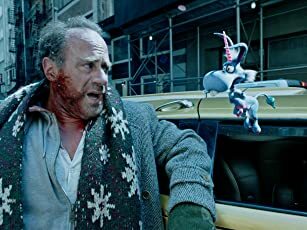 You really could laugh yourself to death watching this movie. It is nothing but hilarious. 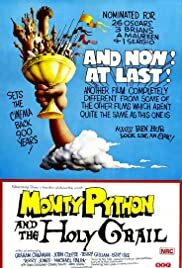 Monty Python keeps pounding and pounding you with gag after gag, and lead you down a road, but suddenly its a bridge, no, its an ocean. One of the things that really makes this hilarious is the grand spectacle that dazzles you with attention to grand sound effects, and then the next scene may be purposely cheap sets, all to make you laugh yourself to death. 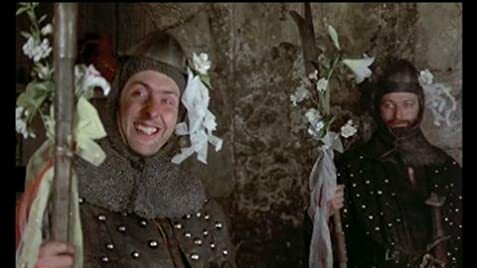 There is crude humor, and what I think can fairly be described as dark humor-you might not think its funny to see an animal with big teeth rip several knights to death, or a knight have his arms and legs cut off, but Monty Python will make you laugh at it. I personally think they're akin to Marx Brothers comedy, or Mel Brooks-hilarious with likable people in outrageous situations.